I have a dear friend that I have known for many years and she has shared this recipe with her friends and I’m lucky enough to call her my friend. Peanut butter is a treat that my family loves and this recipe is already being requested by my husband. Thank you Nancy for the recipe. Cook milk and sugar in a 2 quart pan on medium heat for about 20 minutes. Remove the pot from heat when a drop of the mixture forms a ball in a glass of cold water. 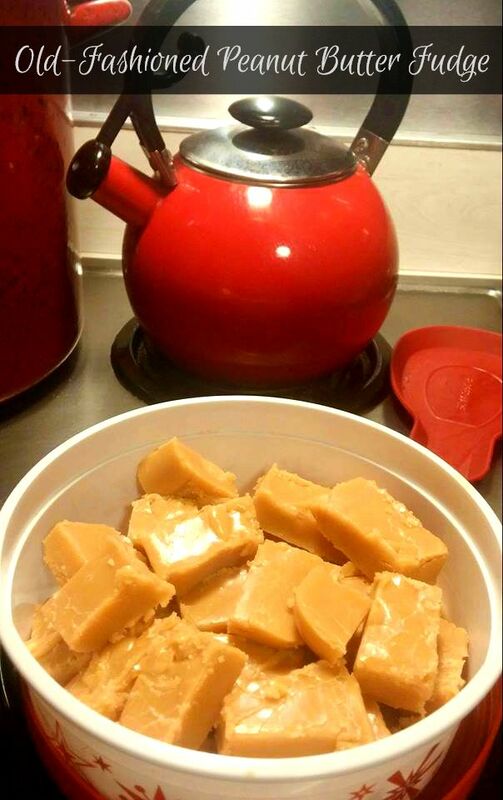 Stir peanut butter and vanilla into the mixture; stir vigorously until the fudge hardens. (Always stir in same direction.) Pour fudge into a buttered glass dish and spread fudge until it touches the sides of the dish. Let cool and cut into 1-inch pieces. Note: A couple of hours after posting this recipe, I chatted with my friend Nancy, who was gracious enough to share this recipe with me and others. She informed me that this certain recipe has been in her family for over a hundred years. Such a generous and sweet soul, she is.